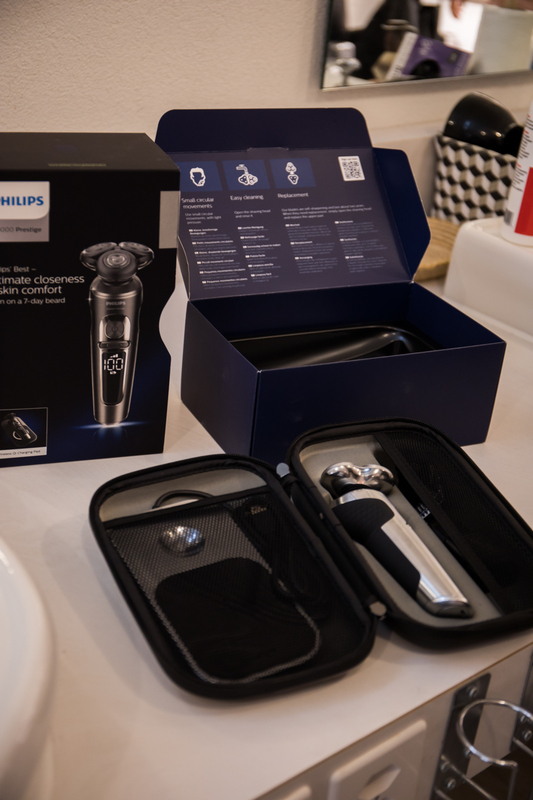 The new shaver Philips S9000 Prestige promises to deliver one of the smoothest shave among all electric razors. Nearly as smooth as it has been done with the sharp knifes by a barber. 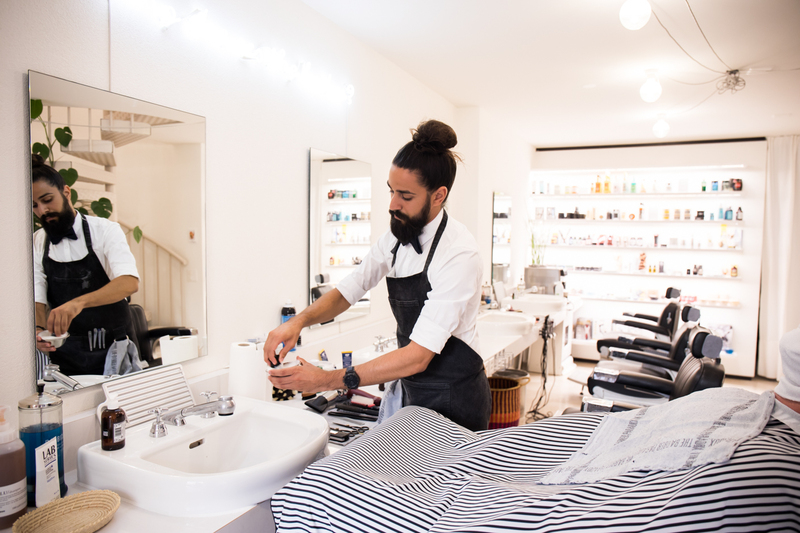 Therefore, the barber shop is the best place for this experiment and to see, if the new product can keep its promise. 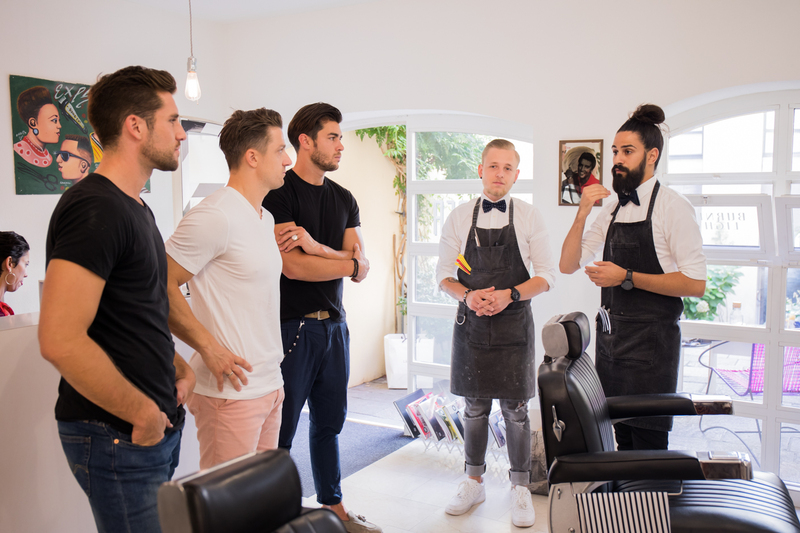 All started with a relaxed get-together with some male influencers of Switzerland, talking about shaving and men’s grooming in general. 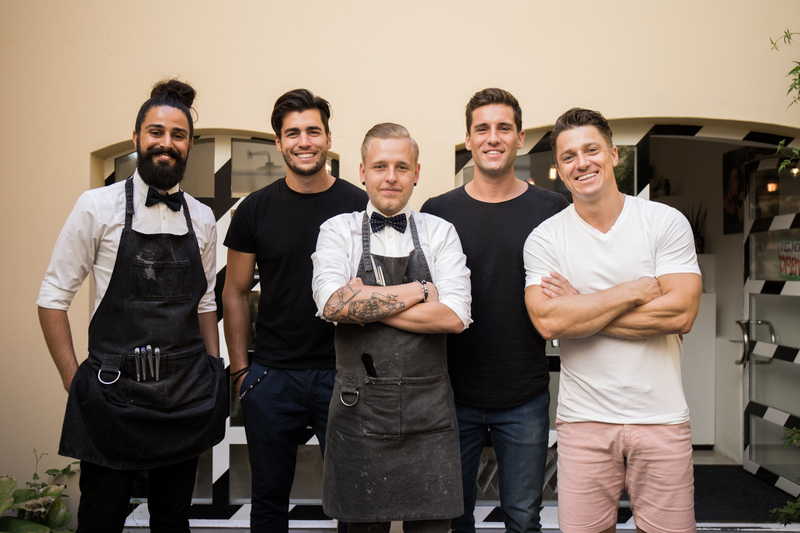 It was interesting to get to know their grooming routine and what product they use. 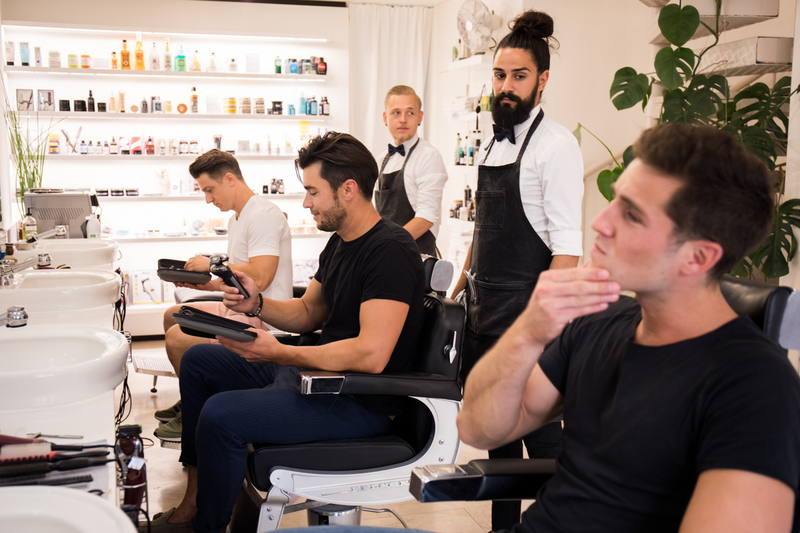 Most of them do most of the time only trim the beard and wear stubbles rather than shave it all off. 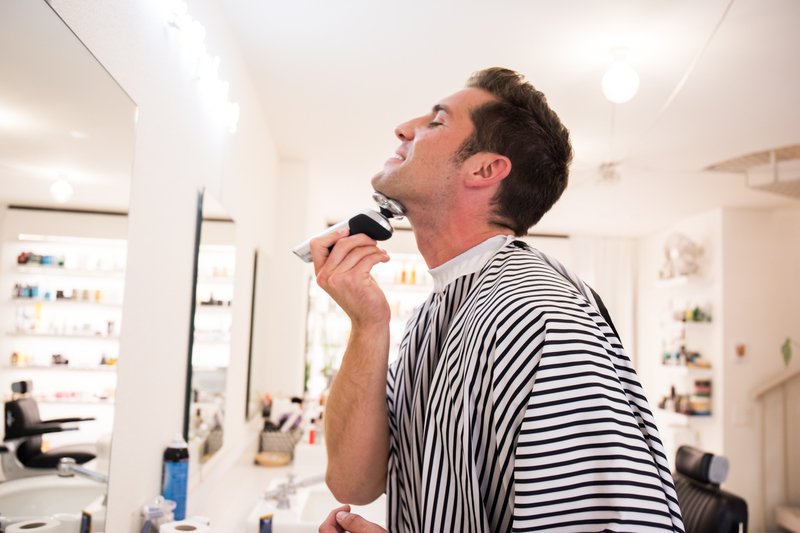 However, from time to time, for special occasions or just because you’re in the mood to do so, a clean shaven face is a must. In any case, with the Philips S9000 Prestige you have an all-in-one product. 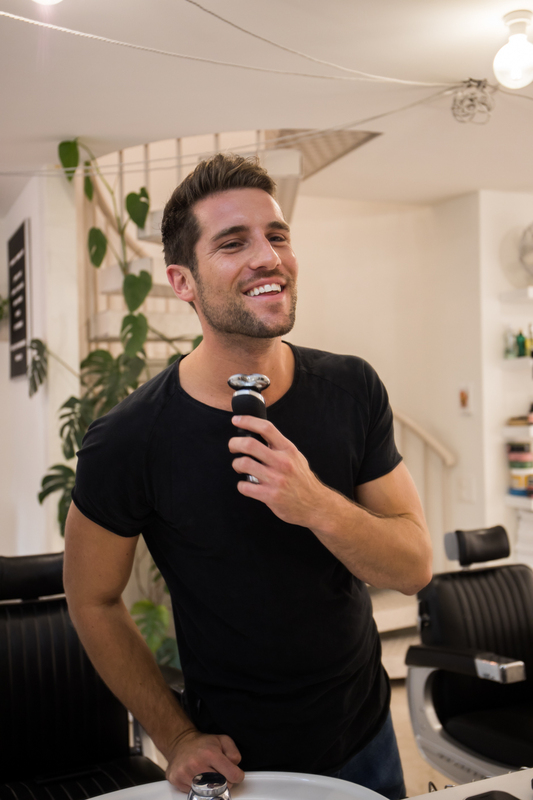 After the introduction of the product we could try it out by ourselves and discover all the details the shaver offers. Overall, the product is very stylish and handy and the most outstanding part is the induction charging pad. 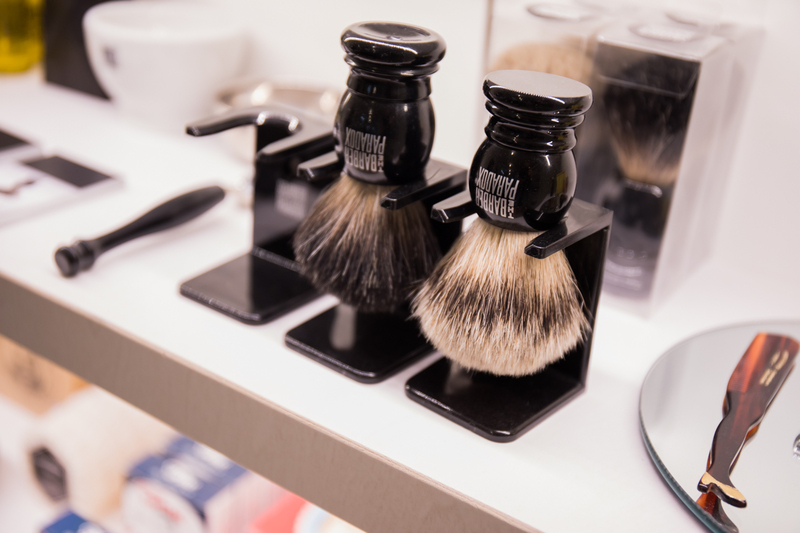 You just put the shaver on the pad and it charges automatically. You can even charge your mobile phone if you have one of the newest one supporting this feature. 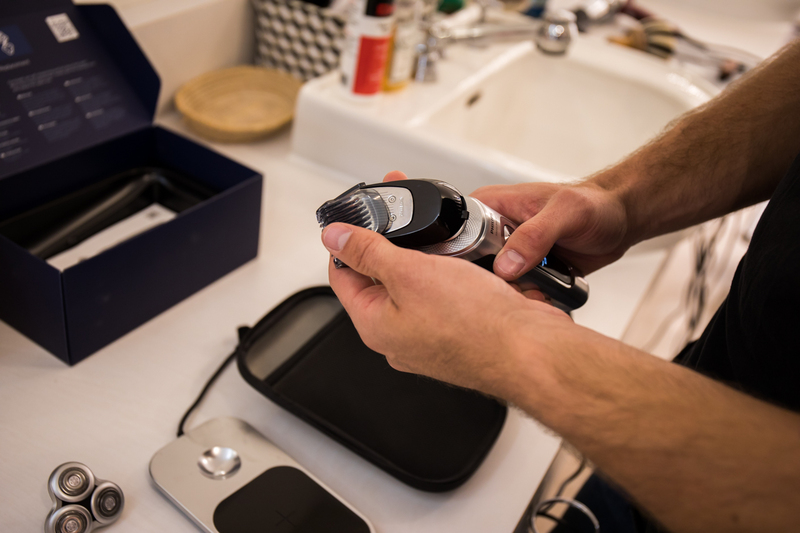 And there is also a special trimmer attachment, where you can set the length of the beard, so in case you don’t want to have it clean shaven. 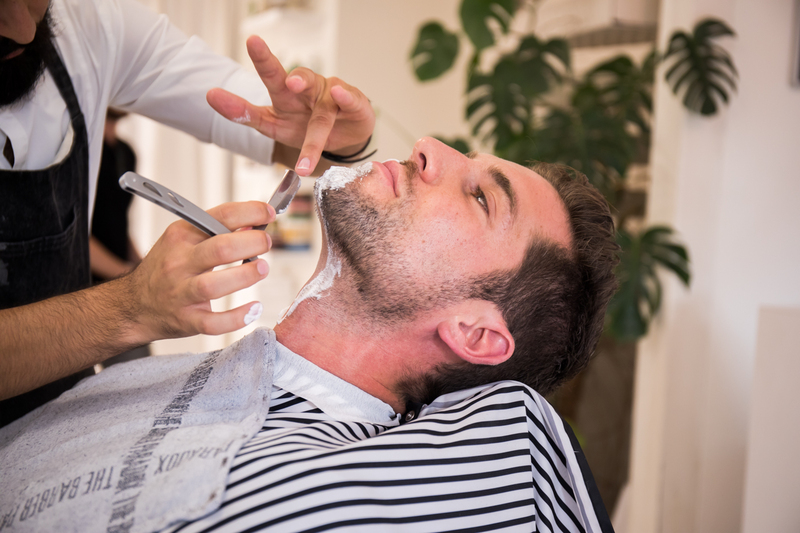 However, the razor is mainly produced to shave faces clean and doing it in the easiest, fastest and smoothest way possible. 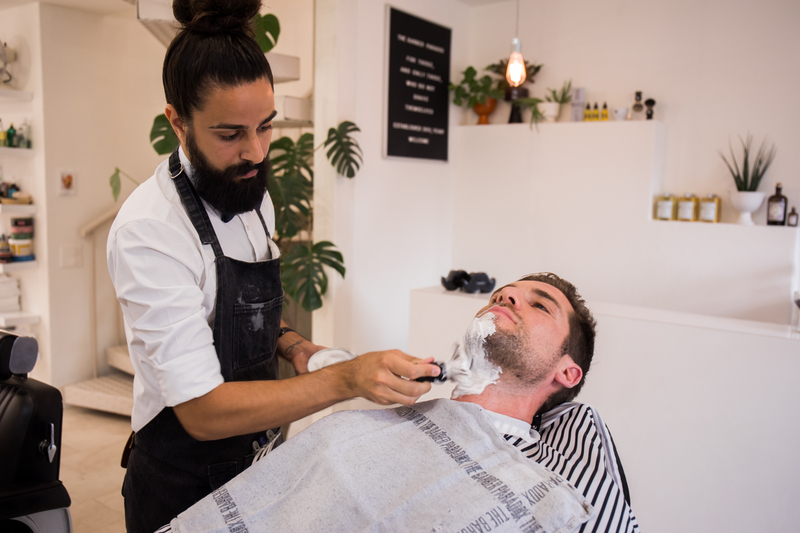 Almost as good as a wet shave by a professional barber. That claim needs to be proven, for sure. 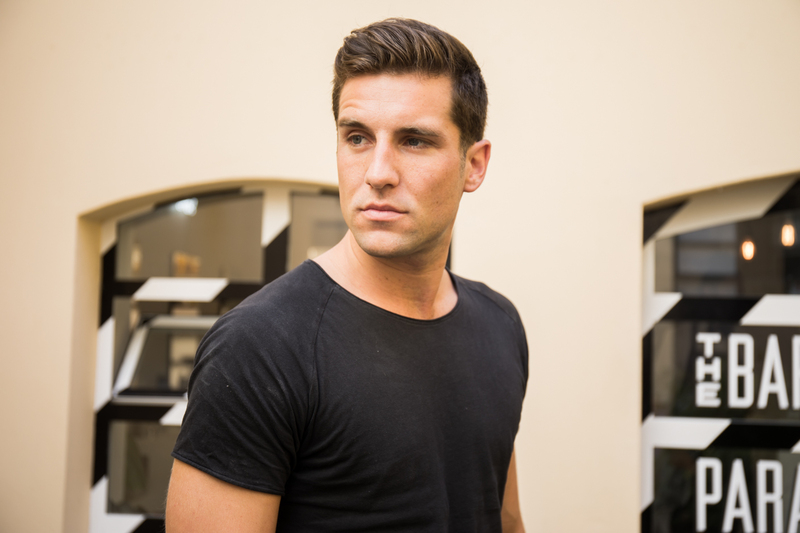 So it was the time for me to get my face clean shaven once again. Long time ago, actually. And believe me, it was not easy for me but I really needed to try it out. So, the experiment looked like that, that one side of my face got shaven in a professional way with a wet shave and a sharp knife by a barber. And the other half? It has been done by myself with the Philips S9000 Prestige electric razor in a dry way. And the result? I am totally satisfied with it and convinced from the new razor since it was as fast as the barber, if not even faster. And the level of smoothness? To me, I couldn’t feel any difference between the professional way or me doing it myself with the machine. 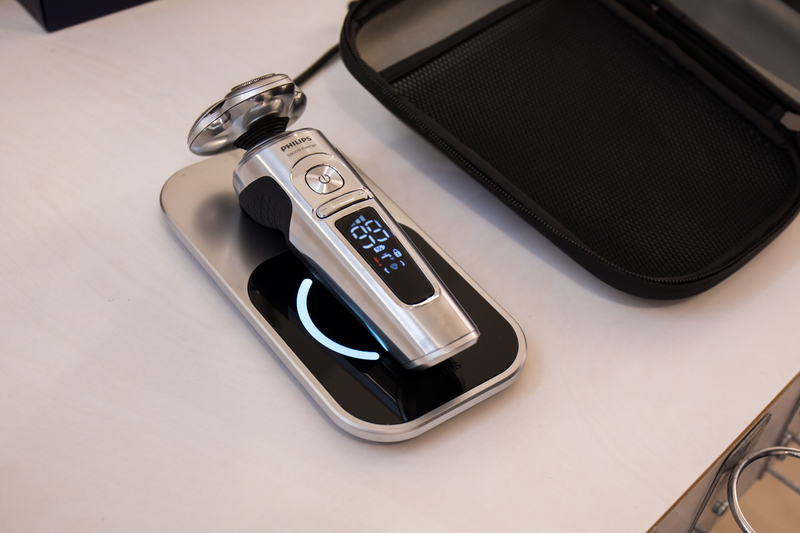 Means, the new Philips S9000 Prestige shaver can hold its word and achieves the desired results. 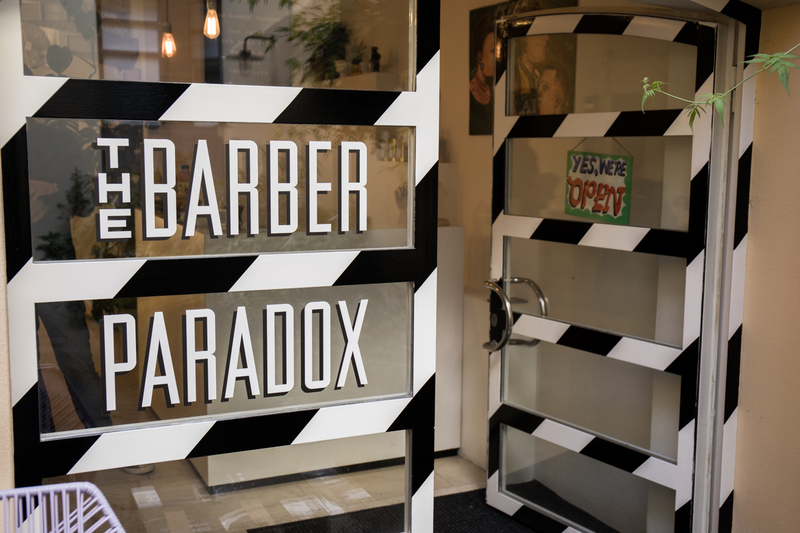 And what about the barber? Can he feel any difference? Yes, of course. There is a slight difference according to him, but I mean, he needs to justify his job as well. 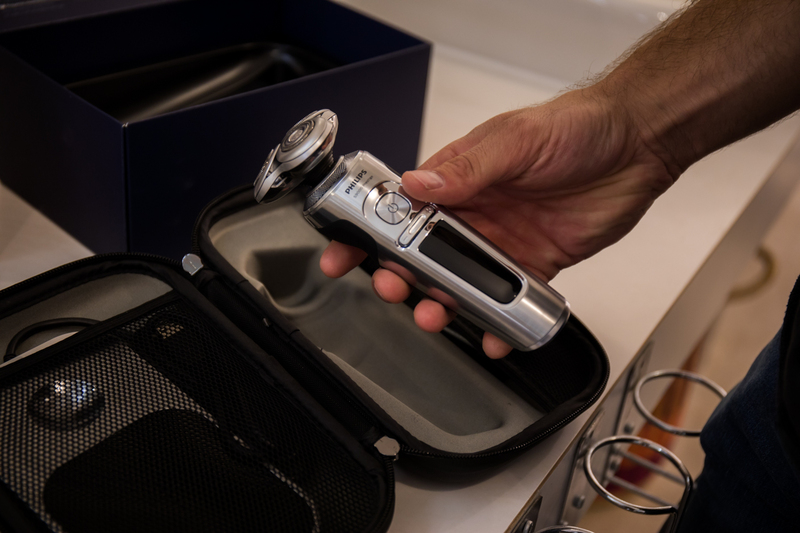 No, but seriously – the Philips S9000 Prestige is delivering nearly the same results as a professional wet shave by a barber but of course, you don’t have the same experience, if you do it at home by yourself. Anyways, if you want to do something good for your skin and your beard and want to have a razor which is easy to handle, fast and achieves smooth results, go for it! And don’t forget to check the video below for some more impressions.